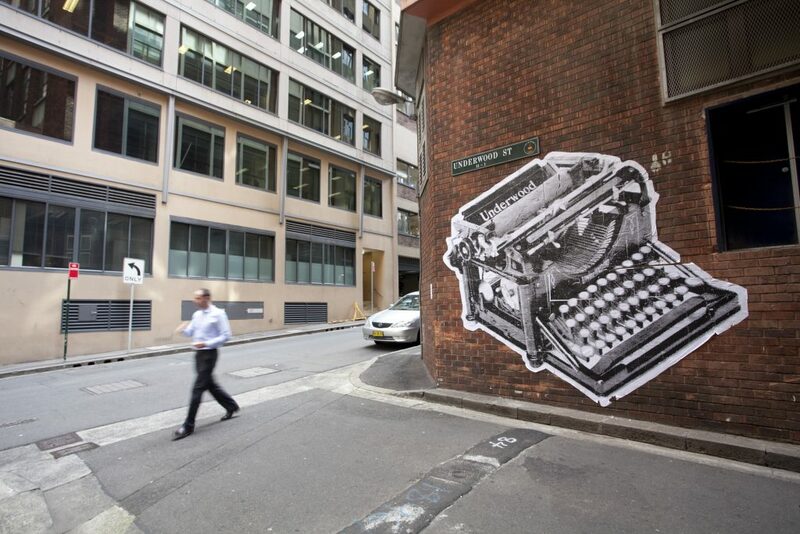 Simon Yates’ temporary laneway artwork Woodwork, was located in Underwood St in Sydney’s CBD. 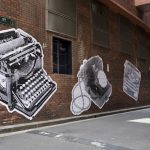 Comprising a series of giant paper photocopies pasted to the red brick wall of the Dalley St telephone exchange, images in the work featured iconic Underwood typewriters, rotary dial telephones and included messages from the artist hidden within the keyboards and dials. 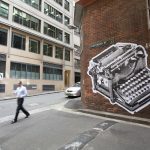 Underwood is the name of a famous brand of typewriter manufactured in the early 20th century and used by writers such as F. Scott Fitzgerald and William Faulkner. Underwood Street is behind a telephone exchange. 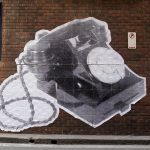 This led me to think of the way an old-fashioned typewriter and old-fashioned dial telephone have a similar shape. 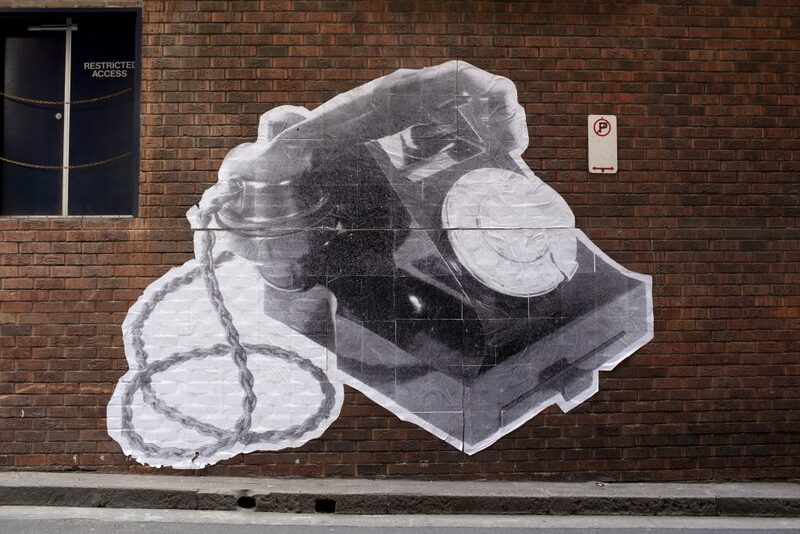 This work features paste ups, a form of street art where images on paper are cut out and pasted onto a wall. 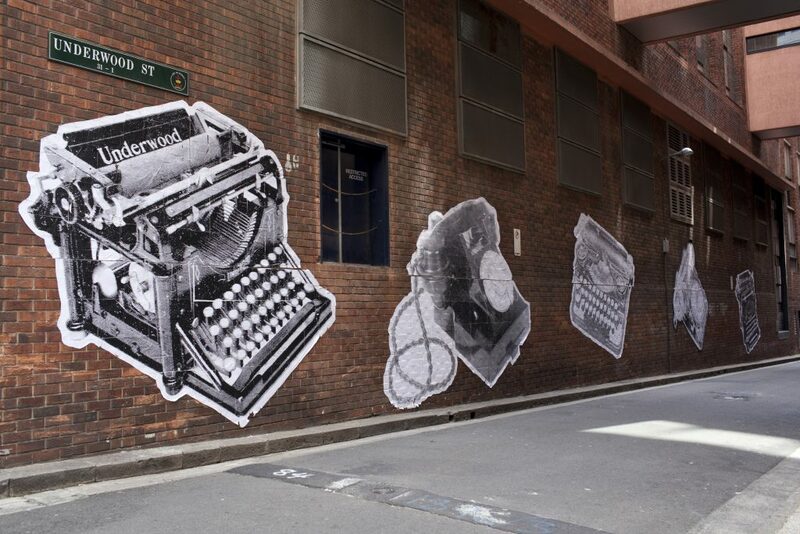 The artwork is ‘hidden’ in this out-of-the-way lane in the same way as the remnants of yesterday’s technologies are hidden inside the technology we use today. For example, the organisation of the alphabet on the Qwerty keyboard. Simon Yates has been exhibited nationally and internationally, in numerous group and solo exhibitions. 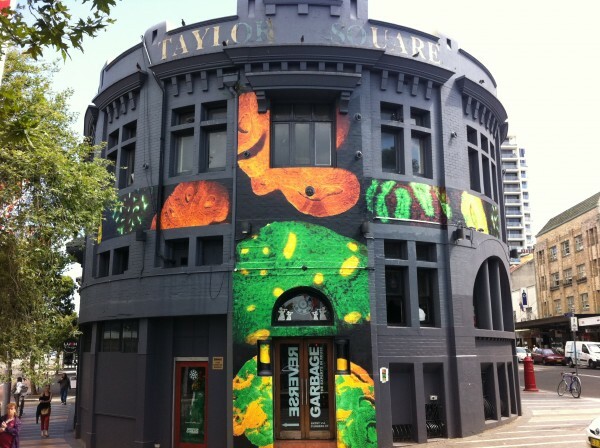 His works feature in the collections of several prestigious galleries and museums, including the Museum of Contemporary Art in Sydney, the Art Gallery of South Australia in Adelaide and the Australian Centre for Contemporary Art in Melbourne.